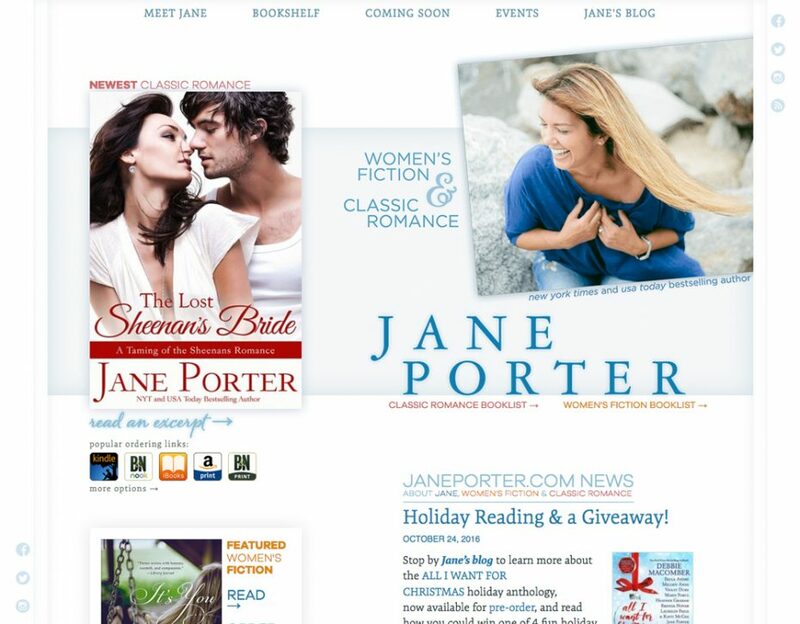 We launched the first JanePorter.com a few months before her very first book even became available way back in 2000. Five years and many novels later, we completely redesigned to align with Jane's foray into women's fiction, bringing in one of the first and longest-lasting author blogs in the industry. That site grew with her for eight successful years and another two-dozen-plus books before starting to groan under its own weight. Jane has always provided a lot of content. Converting to be CMS-driven was a huge undertaking, but carefully planned out in phases so as not to interrupt her fast-paced career. This is Jane Porter's third site with Wax. Pretty and spare, it's visually based on one of Jane's stunning photoshoots. Structurally, it's smoothly responsive and entirely CMS-driven. Not only did they make me a wonderfully fantastic website, they are also generous and brilliant in everything they do! Every time I go into my site to make a new page, I sigh happily with how easy it is. Thank you!